It’s time you started loving your love handles. Your body fat isn't just sitting there jiggling. It’s actually producing essential hormones. No one suspected such a thing until biologist Jeffrey Friedman co-discovered the hormone leptin, and the surprising fact that it regulates food intake and body weight. So, if you thought it was sheer willpower keeping you from eating those cupcakes, think again. In fact, Friedman’s research shows that without the leptin produced in our fat cells—which tells our brains, “You’re full for now!”—all of us would be chowing down non-stop. --The average American eats over 800,000 calories each year. Yet, most of us maintain our body weight within a fairly narrow range. How? --How does leptin relate to weight loss, dieting, and the obesity epidemic? Are there biological processes that make losing weight difficult? --Is obesity a disease, a symptom, or something else entirely? What are current and future treatments? 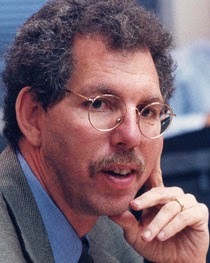 Professor of molecular genetics at Rockefeller University and an investigator for the Howard Hughes Medical Institute, Jeffrey Friedman received the Albert Lasker Basic Medical Research Award (often hailed as the American Nobel prize) in 2010. The author of over 150 scientific papers, he is a member of the National Academy of Sciences and its Institute of Medicine; the recipient of the Shaw Prize in Life Science and Medicine, the Keio Medical Science Prize, and numerous other awards; as well as a regularly featured scientist on such programs as PBS’s NOVA ScienceNOW. 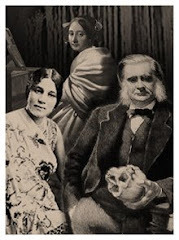 This edition of the Secret Science Club is sponsored by the Albert and Mary Lasker Foundation. The Foundation works to foster the prevention and treatment of disease and disabilities by honoring excellence in basic and clinical science, educating the public, and advocating for support of medical research. The Secret Science Club meets Wednesday, October 23, 8 pm @ the Bell House, 149 7th St. (between 2nd and 3rd avenues) in Gowanus, Brooklyn. Subway: F or G to 4th Ave.